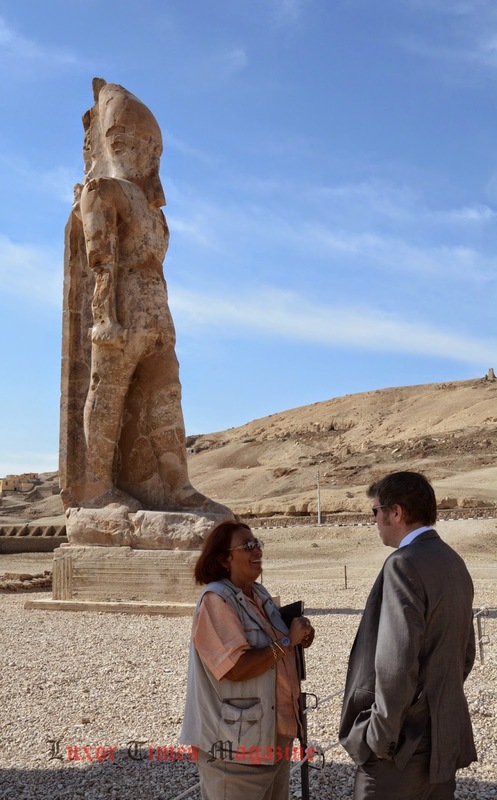 On Wednesday, on his second day of an official visit to Luxor, British Consul in Egypt, John Hamilton has visited the site of the newly re-erected colossi statues of Amenhotep III at the Northern gate of the King’s funerary temple on the west bank of old Thebes. 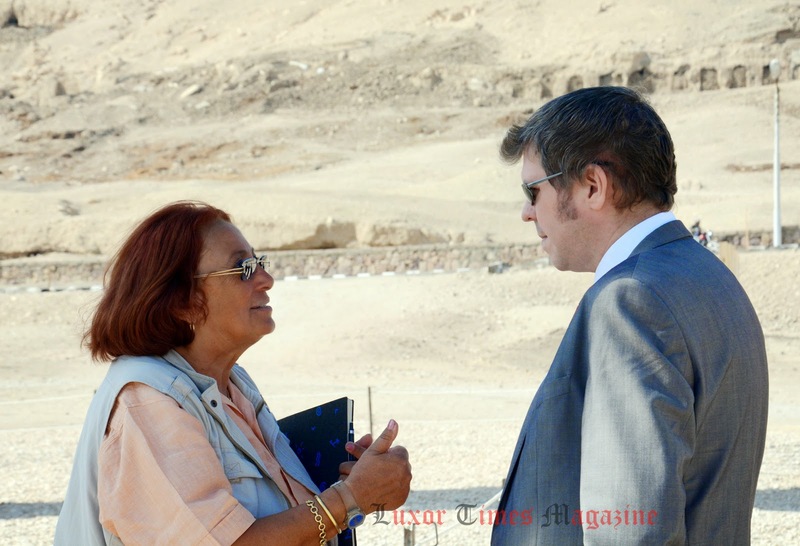 Mr. Hamilton arrived at the site where he met with by Dr. Hourig Sourousian, the head of the European-Egyptian mission working at the site. 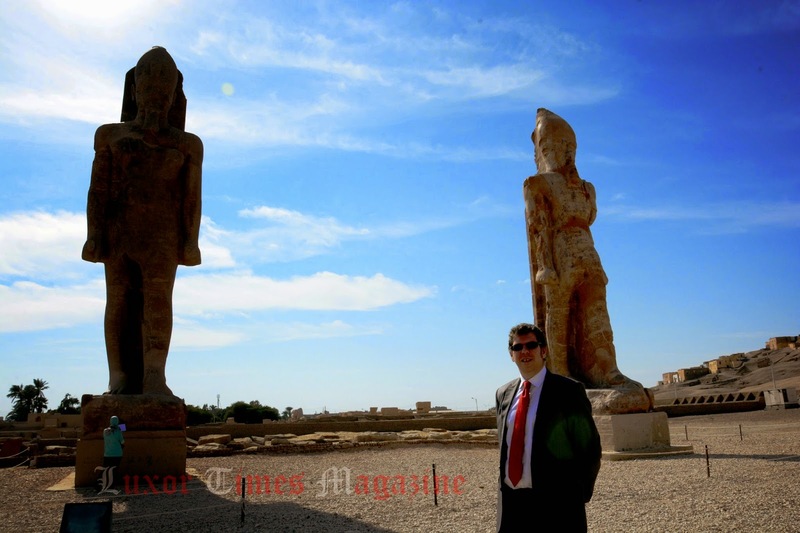 Dr. Hourig talked to the British Consul about the history of the temple, its enormous size, the project to save the colossi, moving the blocks and fragments from the fields nearby and re-assembling them at the current location. 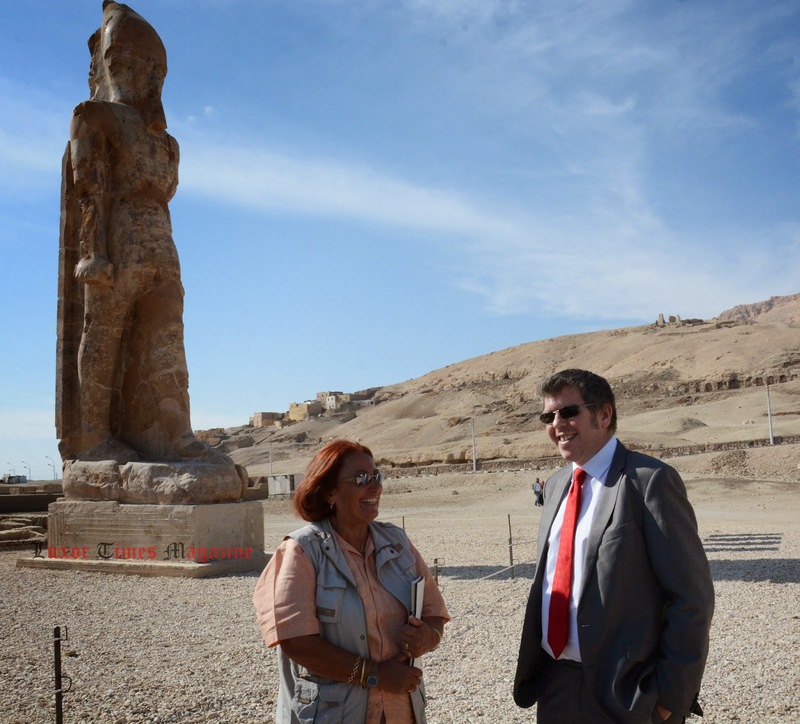 Mr. Hamilton was impressed with the size and condition of the colossi after restoration and he shared Dr. Hourig’s wish to be able to see the complete site of Amenhotep III temple reconstructed where it once was standing as the biggest temple on the west bank in Luxor.